As autumn comes to blow down our hopes of late summer warmth, so too comes the cold, wet mornings. But there’s nothing wrong with a few showers so long as you are well prepared. This means the right gear to face the elements. On a trip through nature or camping that is easy to find but getting your EDC sorted from home to work is usually more challenging. You don’t want style to suffer but you need your gear to be just as tough as when you’re out in the great outdoors. We’ve put together a small guide featuring our favourite EDC for rainy days — everything from your phone case to your jacket, all to keep you warm and dry (and not like you are off for a hike). The Umbrella: if you want something that can be easily carried in your bag, the compact Blunt XS Metro umbrella offers the ultimate balance between portability and performance. It is the strongest collapsible umbrella around and the go-to choice for urban dwellers. Folded up, it fits easily in your bag, making it easier to carry around than a full-sized stick umbrella. As autumn has come to blow down hopes of a late summer warmth, so has come the cold and wet mornings. But, there’s nothing wrong with a few showers so long as you’re prepared. The right gear to face the elements on a trip through nature or camping is easy to find but getting your EDC sorted to get you from home to work is sometimes more challenging. You don’t want style to suffer but you need your gear to be just as tough as when you’re exposed in the great outdoors. We’ve put together a quick guide to commuter EDC for rainy days — everything from your phone case to your jacket, all to keep you warm and dry without skipping style cues. The Jacket: outerwear expert Stutterheim is offering this Stockholm silhouette in muted khaki hues. Definitive of Swedish style, the cool-toned rain coat is left minimal with little decoration; all while providing the best in protection from downpours. Keeping you covered with a drawstring hood, press stud closure and double welded seams, this hardwearing staple is built to keep out the elements and look great. The Shoes: built upon an ideal of maximised comfort, the Sk8-Hi Reissue UC aims to allow makers to do what they love all day without having to sacrifice their personal style through footwear choices. The reinterpreted classic silhouette comes complete in all-black with a vulcanized lugged outsole for improved grip, Vansguard canvas upper to repel liquid and dirt, and a contoured UltraCush sock liner for maximum comfort throughout the day. The Shoes: built upon an ideal of maximised comfort, the Sk8-Hi Reissue UC aims to allow makers to do what they love all day without having to sacrifice their personal style through footwear choices. The reinterpreted classic silhouette comes complete in all-black with a vulcanized lugged outsole for improved grip, Vansguard canvas upper to repel liquid and dirt, and a contoured UltraCush sock liner for maximum comfort throughout the day. The Wallet: the Bellroy All-Conditions Pocket wallets take weatherproof conditioning a step further while retaining the attractive look Bellroy has become famous for. The wallets are made from all conditions leather or woven fabric (depending on your preference), use a YKK Aquaguard Vislon zipper, and employ an easy-pull opening. Whether you are an all-weather urban commuter looking for a way to keep your phone and cash dry or a serious outdoorsman in need of a waterproof pouch to organize your I.D., phone, and keys, this is an ideal wallet. The Backpack: despite it's minimalist approach, the RAINS Backpack Mini does stay true to RAINS' priority for water-resistance. Constructed by a water-resistant polyurethane/polyester outer shell construction, featuring a front flap closure with adjustable metal buckle lock clip (along with a pocket for your laptop and a separate space for your valuables). The Backpack: despite it's minimalist approach, the RAINS Backpack Mini does stay true to RAINS' priority for water-resistance. Constructed by a water-resistant polyurethane/polyester outer shell construction, featuring a front flap closure with adjustable metal buckle lock clip (along with a pocket for your laptop and a separate space for your valuables). 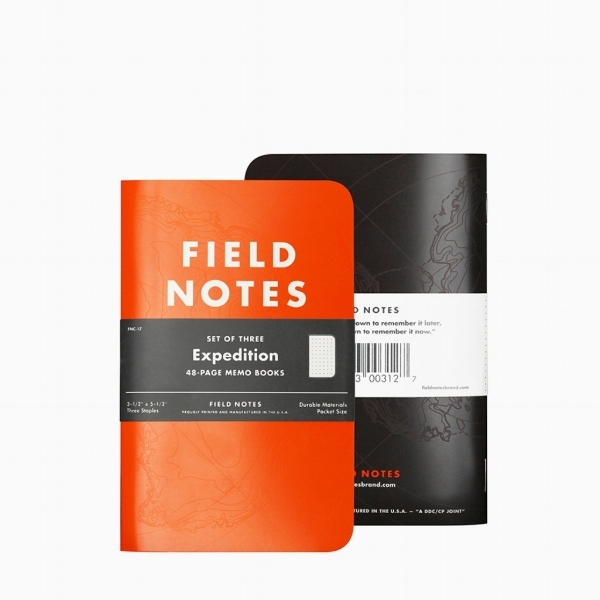 The Notebook: the brand you know and trust, Field Notes brings the Expedition notebook which is printed on Yupo Synthetic paper, an amazing water- and tear-proof paper along with a hi-visibility orange cover and featuring dot-grid graph paper. This book will probably outlast you. 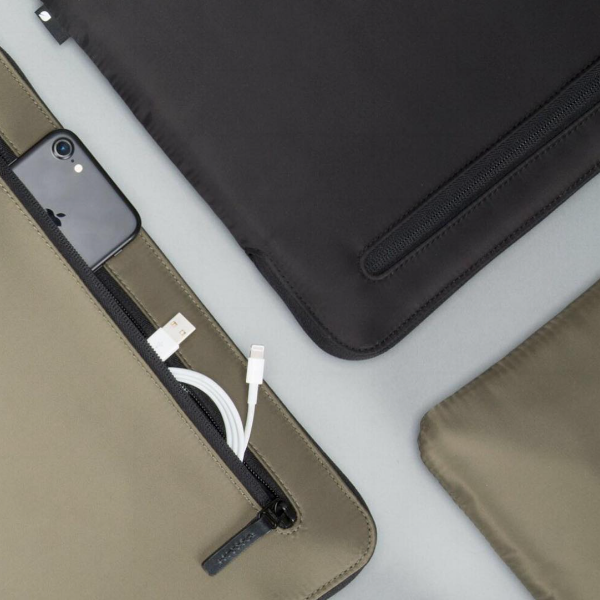 The Laptop Sleeve: the Incase Compact Sleeve's design complements the new MacBook Pro, while its faux-fur lining helps prevent scratches and bumps. The Compact Sleeve features Flight Nylon material that is lightweight and closely woven for a smooth finish (and it will wick water away). Pick a neutral colour to compliment the rest of your new gear. The Laptop Sleeve: the Incase Compact Sleeve's design complements the new MacBook Pro, while its faux-fur lining helps prevent scratches and bumps. The Compact Sleeve features Flight Nylon material that is lightweight and closely woven for a smooth finish (and it will wick water away), along with a zippered pocket for whatever you might want to carry along.The Phone Case: the Next Case is Lifeproof’s version of a minimalist iPhone case. The brand usually produces fully waterproof cases, but this new iteration trades in some of that utility to work with newer, water-resistant phones for a more minimalist form-fitting design. 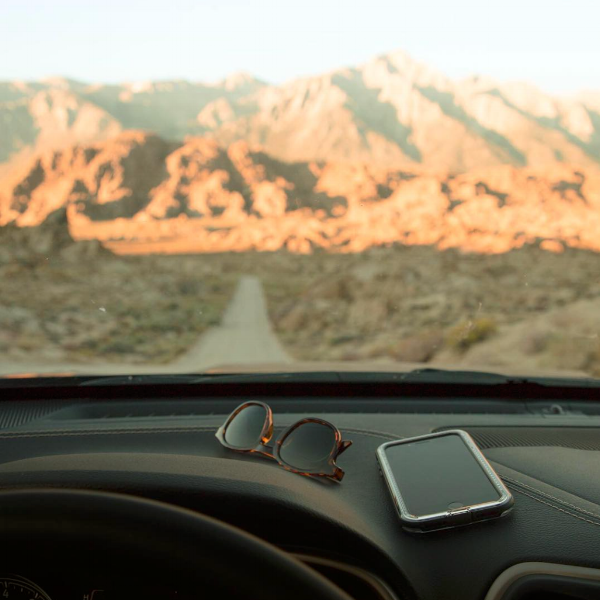 The Phone Case: the Next Case is Lifeproof’s version of a minimalist iPhone case. The brand usually produces fully waterproof cases, but this new iteration trades in some of that utility to work with newer, water-resistant phones for a more minimalist form-fitting design.